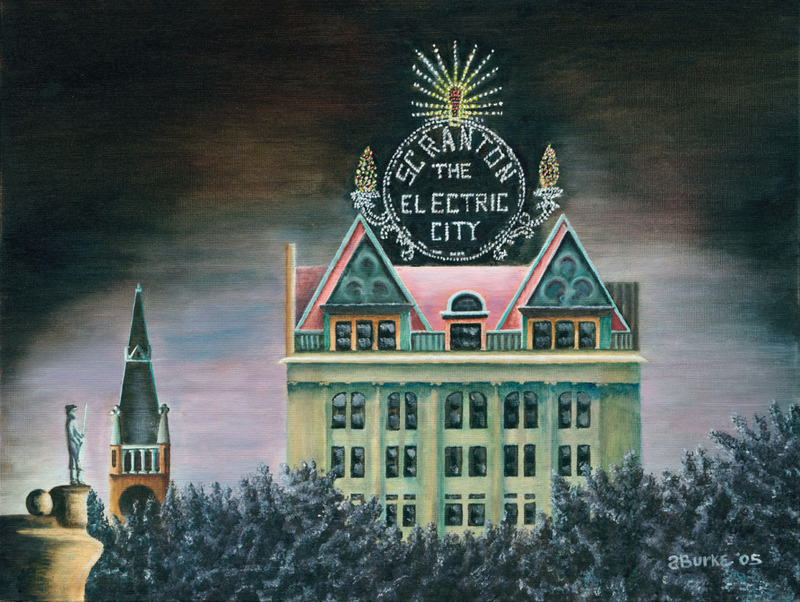 The illuminated electric city sign atop the Scranton Electric Building has been the iconic welcome to Scranton, PA ( the Friendly City) since 1926. The Scranton Electric Company (later PPL) erected the sign to proudly remind the world that the first commercial electric streetcar lines were established in Scranton, PA. The sign was restored and relit in 2004. 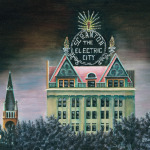 The Scranton Electric Building was originally the home of the Scranton Board of Trade, predecessor to the Greater Scranton Chamber of Commerce. Built in 1896 by architect Lansing Holden, the Beaux Art style building has been home to commercial offices ever since.